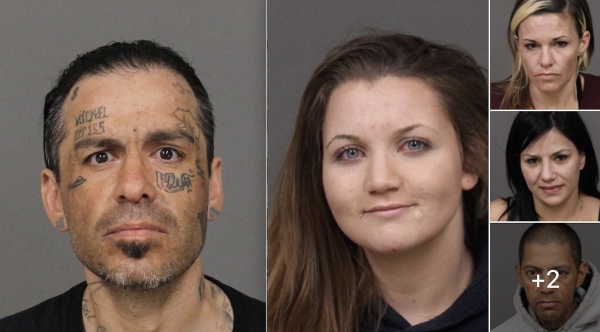 Deputies arrested five individuals Thursday following the search of an Oceano home that was targeted as part of a narcotics investigation. At about 9 a.m., San Luis Obispo County Sheriff’s deputies and members of the Sheriff’s Narcotics Unit and Gang Task force served a search warrant at a home in the 2100 block of Nipomo Street. It is unclear what exactly investigators found during the search, but sheriff’s officials say deputies arrested five suspects for outstanding warrants and drug related charges that include possession of narcotics and possession of drug paraphernalia. Investigators did find a 1-year-old child at the Oceano home, according to the sheriff’s office. Child Welfare Services took custody of the toddler. Sheriff’s officials say, as part of the same investigation, another individual was found to be in possession of an ounce of methamphetamine and a half ounce of heroin. Deputies discovered the drugs while booking the suspect into the SLO County Jail. The five suspects arrested Thursday are:Rudy Jesse Perez Jr., 36, of San Luis Obispo; Ezekiel Alfred Delagarza, 40, of Arroyo Grande; Addison Jeanise Cravens, 32, of Nipomo; Kasarah Elaine Eskew, 20, of Shell Beach; and Brieana Renee Sandhu, 27, of Oceano. As of Friday morning, Delagarza, Cravens and Eskew remain in jail, while Perez and Sandhu are not in custody, according to the sheriff’s office website.